Hiking on Haleakala on a solo trip to Hawaii. 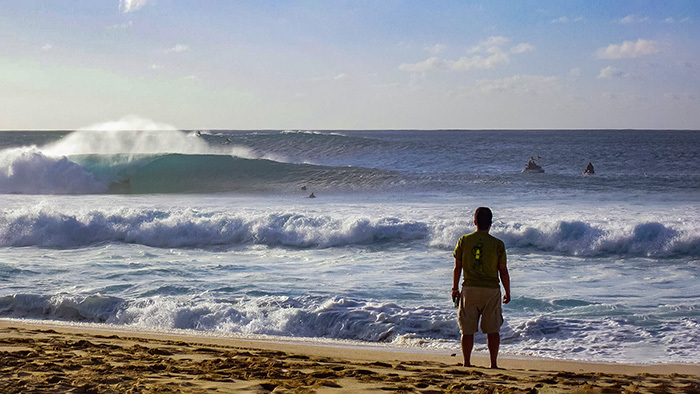 Here are tips you can use if you’re planning a solo trip to Hawaii. Not everybody likes to go on vacation with their families or close friends. Traveling with friends can be a rewarding break from the routines of life. But at the same time, you can have an adventure on your own, particularly one as breath-taking as Hawaii. The Aloha State is one of the most popular destinations for weddings, honeymoons and family getaways. But you don’t have to travel with a posse to have an incredible time. Here are some helpful tips when you take a trip to Hawaii on your own. Part of the beauty of your vacation will be in those solitary moments where it is just you and nature. But remember to have a healthy respect for the islands. Pay attention to the signs, weather reports and any warnings from residents. Even if you have a strong inclination to do something or go somewhere, be sure that someone knows where you are going. Plus, it’s important to ask plenty of questions beforehand. Don’t be reluctant to ask the simple questions. When does the tide come in? How strong are the currents there? Is it safe for swimming? Will those trails be safe for hiking if it rains? Questions like these could save you from injury or worse. 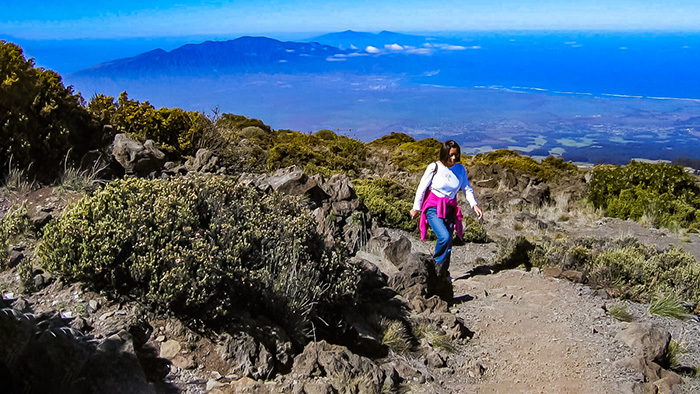 Having respect for nature and sudden changes in Hawaiian weather will be important elements of any solo-traveler’s trip. If you have always wanted to learn to surf or try scuba diving, now is great time to do it. You won’t be holding anyone back and you won’t care about how long lessons might take. You finally have the chance to gain a new skill from the experts in this unique place. Sign up for a surfing lesson in the calm waters of Waikiki Beach. Take a hula dancing class; learn its hand motions and what they mean. Pick up a ukulele and learn to play a song the next time you watch the sun go down. Are you the adventurous type? If yes, sign up for a guided kayaking tour down the Wailua River or along the cliffs of the Na Pali Coast. An element of self-discovery is trying something completely unfamiliar and seeing how you like it. Hawaii’s cuisine is diverse as its population. This is true whether you prefer to dine at award-winning restaurants, tour famous farms or wander through farmer’s markets. Try to devote a good amount of time enjoying the food. Ever tasted lilikoi shave ice, Kona coffee or distilled vodka made from deep ocean Hawaiian waters? If you haven’t, you are in for an entirely new experience. Savor Hawaiian chocolates, crack open fresh macadamia nuts or order a plate lunch after a day at the beach. You may never want to return home. Kalalau Valley on Kauai’s Na Pali Coast. If you are a hiker, you might want to look into the best trails or coastal beaches and set out to find them. Waimea Canyon, the Na Pali Coast, Haleakala or the summit of Mauna Kea are all superior destinations. There are dozens of State parks across the islands. They have everything from waterfalls to natural pools, wild fruit trees, ancient hieroglyphics and lava formations. Don’t forget your camera. 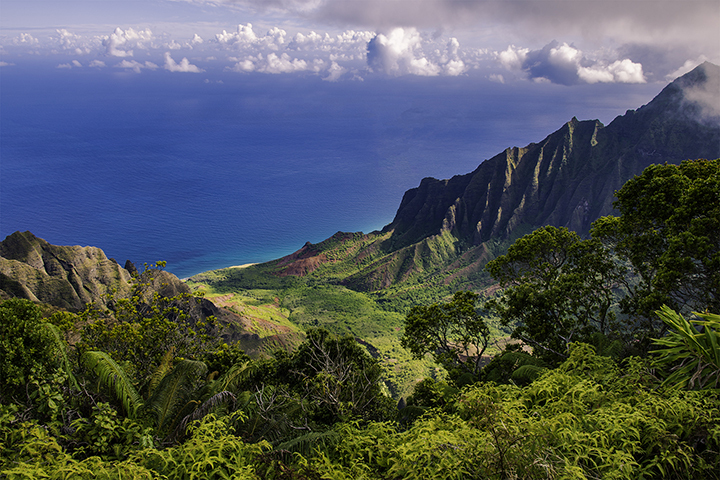 By doing so, you’ll forever have the memories of Hawaii’s most impressive landscapes with you. Wherever you plan a trip to Hawaii, the options for outdoor adventure and indoor relaxation are endless. The deals on Panda Travel ® can be some of the best. And our all-inclusive travel packages ensure that your solo trip is not only seamless, but absolutely magical.